Today, we have AMAZING news! The exceptionally lovely Eva Pohler has released her next book! The Purgatorium is the first book in a new YA series. Eva, of course, is the author of The Gatekeeper's Saga which we adore- so I'm sure you can imagine how exciting Eva's new release is for us. Eva Pohler writes fiction for teens and adults and teaches writing and literature at the University of Texas at San Antonio, where she lives with her husband, three kids, two dogs, and two rats (Katniss and Prim, of course). She's also an avid reader and book reviewer. You can add The Purgatorium to Goodreads. 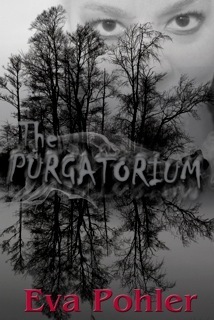 You can buy The Purgatorium on Smashwords. You can check out Eva's website/blog. You can follow Eva on Facebook and Twitter. You can read our reviews of books one, two, three and four in The Gatekeeper's Saga. Thanks so much, Ely and Chami! The post looks fabulous!